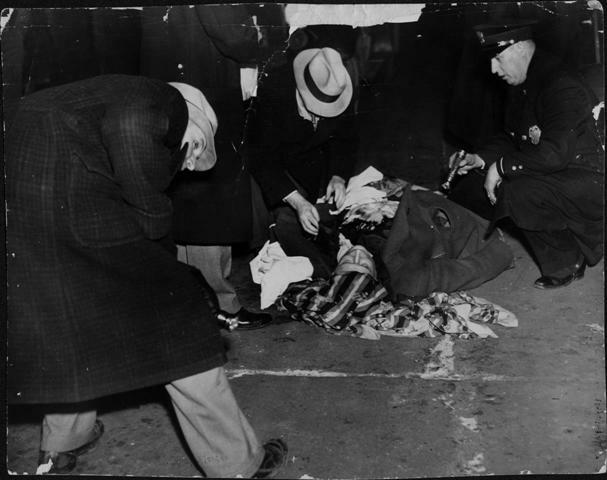 By the late 1930s, Minneapolis was on the skids. The city’s industries were in decline and the community had developed a national reputation for ethnic and labor conflict. The Teamsters’ Strike of 1934 was a pivotal moment for city leaders, who resolved to work together to re-brand the Mill City as the City of Lakes. The Aquatennial Festival was launched in 1939 as part of this broader public relations effort. The lavish Aqua Follies–held each year at Thedore Wirth Pool in Wirth Park–was the centerpiece of this glitzy civic extravaganza. 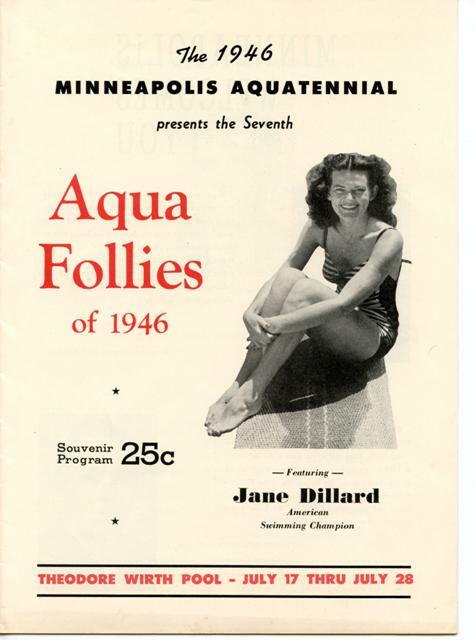 Here we have the cover from the Aqua Follies program from 1946. Image is from the collection of the Hennepin History Museum, which has the most extensive collection of Aquatennial material in the city. It’s map Monday. Each week we try to find a map to share with you, my dear readers. This week I’m cheating, a little. This image is from the Borchert Map Library at the University of Minnesota but it’s not a map. 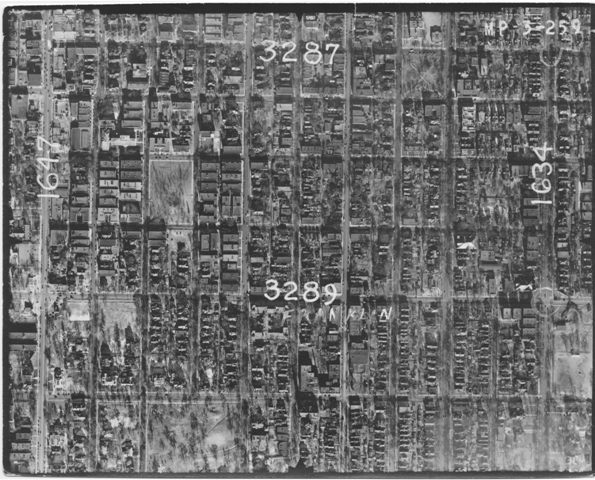 Instead, what we have here is a 1938 aerial photo of the area around Franklin Avenue in South Minneapolis. This image is one of hundreds you can peruse through Minnesota Historical Aerial Photographs online, a site created by the University of Minnesota libraries that allows viewers to sort photos according to date and location. These aerial views are invaluable historical sources that function like a cross between Google Streetview and historic plat maps. They allow viewers to see Minneapolis from the air at different points in the twentieth century. 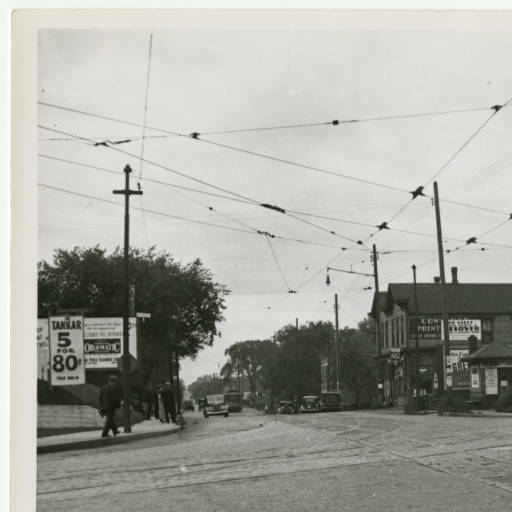 This 1938 photo shows the Whittier neighborhood in Minneapolis before it was bisected by the interstate freeways of the post-World War II period. On the bottom left side of the photo is Fair Oaks Park, once the grounds of the palatial Washburn mansion, demolished by the Minneapolis Park Board in 1924. Today, Fair Oaks Park stands across the street from the Minneapolis Institute of Arts, which is not visible on this photo. Several blocks north is Stevens Square. Our view on the left side is bounded by Nicollet Avenue. Minneapolis began making aerial images in 1922, when the city first hired pilots to fly small airplanes–with cameras mounted on the bottom–in a grid pattern over the streetscape. The images were updated every decade. The resulting collection –held in the Borchert Library and the Tower Archives at Minneapolis City Hall–allows viewers to trace the way the city changed over time. The city of Minneapolis recently transferred its aerial photographs to the Borchert, which will soon digitize these images and add them to the online collection. Click on this link to get the aerial photos site, where you can click on individual images to zoom in and out.